THE HEROESONLINE BLOG | HEROESCON 2012 :: GUEST LIST UPDATE! MARK BAGLEY! IAN FLYNN! BUDD ROOT! ANDY SMITH! HEROESCON 2012 :: GUEST LIST UPDATE! MARK BAGLEY! IAN FLYNN! BUDD ROOT! ANDY SMITH! Whether you’re a fan of superhero books, great cartooning, some of today’s best all ages comics, or all of the above, today’s guest list update has something for you. On to the list! 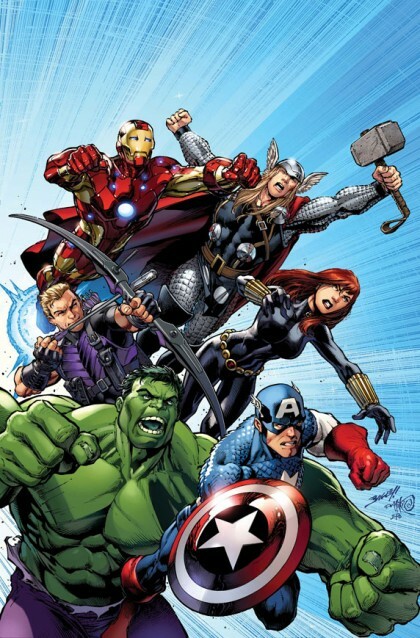 MARK BAGLEY – Mark has been one of Marvel’s go-to artists for years now. Along with classic work on titles like Amazing Spider-man, New Warriors and Venom: Lethal Protector, Mark also provided work for Ultimate Spider-man and the recent Avengers Assemble title. ALEAH BAKER – You can see Aleah’s coloring skills in recent issues of both Sonic the Hedgehog and Sonic Universe. IAN FLYNN – Ian is responsible for writing some of the best kids books on the shelves today. Along with work on Sonic the Hedgehog and Sonic Universe, Ian also helms the popular Mega Man series. JAMES LYLE – You might’ve seen James’ artwork on books like Doorman and Grimm Fairy Tales. He’ll also be representing and bringing some friends from the Southeast Chapter of the National Cartoonists Society (SCNCS). BUDDY PRINCE – Buddy provided pencils for Night, along with art for Upper Deck Cards. BUDD ROOT – As the creator of Cavewoman, Budd built a strong following with his renditions of dinosaurs, creatures and the humans who survive among them. ANDY SMITH – Andy’s a veteran artist who has worked on everything from X-O Manowar, The First, WWE Heroes, War of the Green Lanterns: Aftermath and X-men: Forever, among many others. 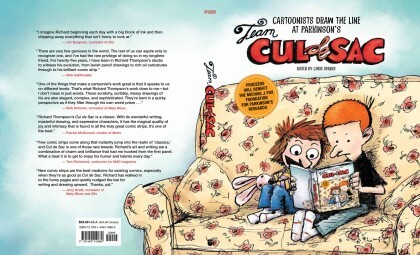 CHRIS SPARKS – Chris is responsible for editing and compiling Team Cul de Sac which will debut at HeroesCon! It’s an amazing book celebrating the art of Richard Thompson and benefitting The Michael J. Fox Foundation for Parkinson’s Researh. There’s a huge list of talented artists who contributed to the Team Cul de Sac book, among them are Bill Watterson, Sergio Aragones, Mort Walker, Roger Langridge, Chris Schweizer, David Malki and Evan Dorkin. KOI TURNBULL – Koi has provided art for a variety of books, including Michael Turner’s Fathom, Soul Retreiver, Black Panther and Young Justice.